A little bit sweet, a little bit spicy, and quite a bit of pickled tang are the hallmarks of your typical PEPPADEW® Piquantè Pepper. It’s a unique flavor – so unique, in fact, that the growers have trademarked the name. Peppadew® Piquantè Peppers are found online and on store shelves around the world. They make a terrific snacking pepper, especially these chilies filled with cheese. 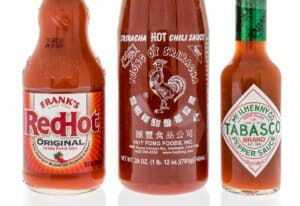 Also try them sliced on sandwiches and as a pizza topper – the sweet sizzling tang adds a refreshing taste. Note: in this article, we reference specifically Peppadew Piquantè Peppers. Peppadew the brand has many more offerings as well, including jalapeños and non-pepper related products. 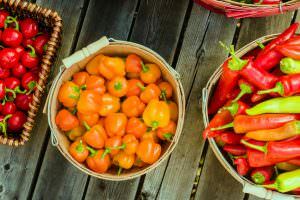 How hot are Peppadew® Piquantè Peppers? 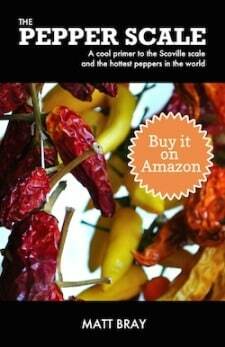 These are not hot chilies – truly a simmering spiciness anyone in the family can enjoy. They are often listed as 1,177 Scoville heat units, but since chilies tend to range, we’ve padded slightly on both sides. Even so, thePeppadew® Piquantè Pepper comes in at minimum two times milder than a jalapeño, with the chance to be up to eight times milder (depending on the spiciness of the jalapeño). 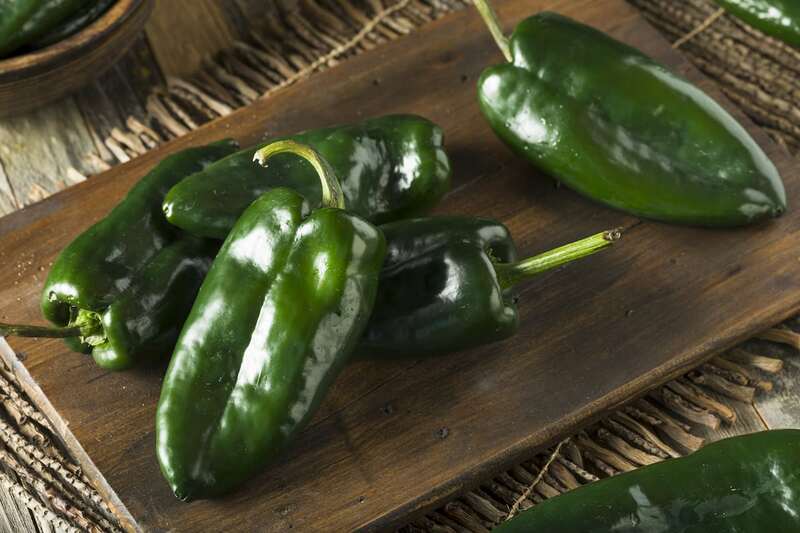 A pepper with comparable heat is the mild poblano pepper. 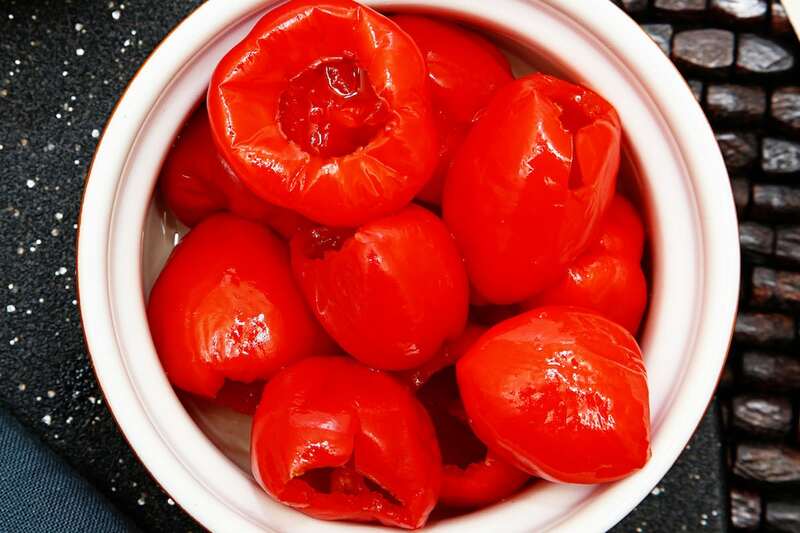 What do Peppadew® Piquantè Peppers look like? They look like a cross between cherry tomatoes and a pepper, but that’s not due to any sort of tomato/pepper cross-breeding. The resemblance is totally coincidental. The round tomato-like shape, though, makes this chili great for stuffing. They have a slight sweetness and that subtle simmer. But it’s not all about the chili’s natural flavor when it comes to the Peppadew. These chilies are sold seeded (lessening the heat) and pickled in a sweet and sour brine that adds substantially to the eating experience. It’s sweeter than pickled pepperoncini – a pepper that often has similar use cases. Where does the name come from? Is it really trademarked? The brand name is a mash-up of two words: “Pepper” and “Dew”. Simple as that. ThePeppadew® Piquantè Pepper has that simmering chili flavor with the fresh tang, like the morning dew. Peppadew® Piquantè Peppers is a trademarked name for the specific sweet piquantè peppers grown in South Africa (the Limpopo province). There are other varieties of sweet piquantè peppers available, grown around the world, but Peppadew is now the entrenched brand. They control their commercial growing rights carefully, to the point where they don’t sell these peppers fresh and the pickled chilies have their seeds removed. As these peppers are mainly available pickled, they are best stuffed with cheese, sausage, and other savory foods. They really are one of the best snacking peppers around.Peppadew® Piquantè Peppers are also excellent sliced and used to add some sizzling tang to sandwiches, pizzas, and salads. Try them, too, in salsas to bring a little zip to the flavor. 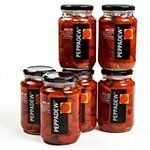 Where can you buy Peppadew® Piquantè Peppers? Many supermarkets now carry pickled Peppadew® Piquantè Peppers, both plain and stuffed with cheese. You can also purchase them online, along with Peppadew salsas and powders. As mentioned, don’t expect to find them fresh (at least under the brand name Peppadew) due to commercial control of the seeds. 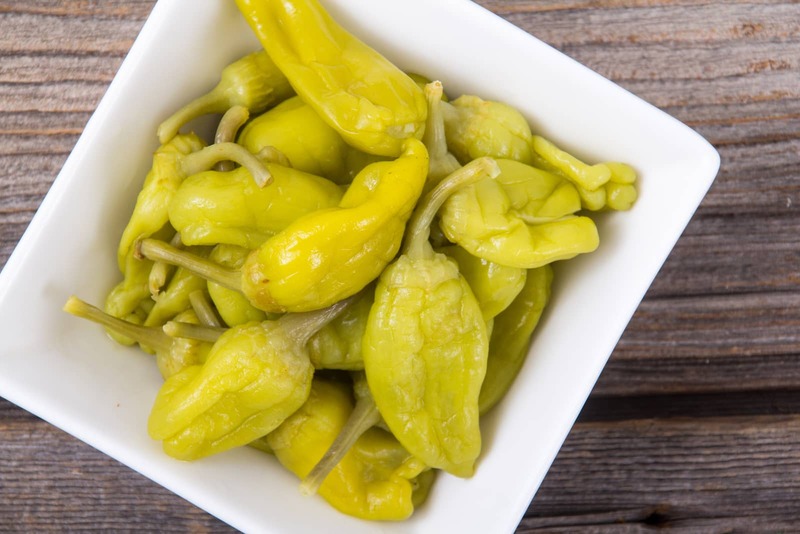 You’ll quickly fall for these pickled chilies, as it’s so easy to pop open a jar and enjoy their uniquely sweet flavor any time of the day. 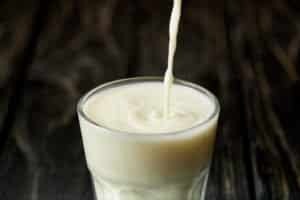 Don’t be surprised if they become a staple in your refrigerator!